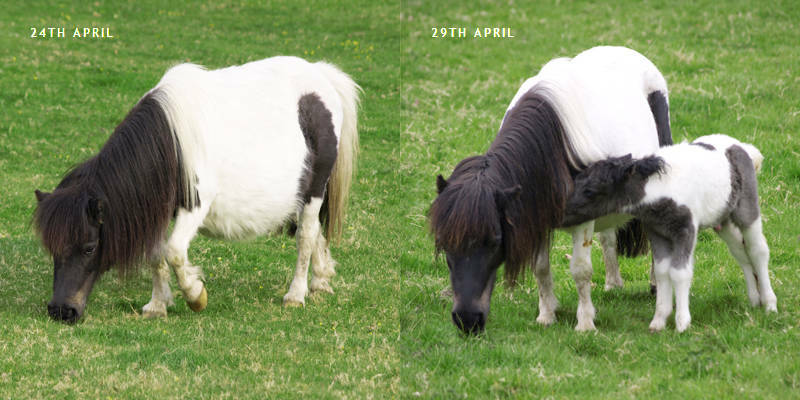 I remember thinking this Shetland Pony was carrying a little extra weight. The mystery was solved when she introduced this new foal to us. To process this pair of images I used 3 adjustment layers to make the images match. I then added one more curve layer to bring out some detail in their dark faces.